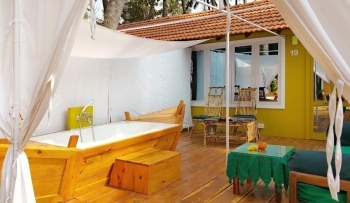 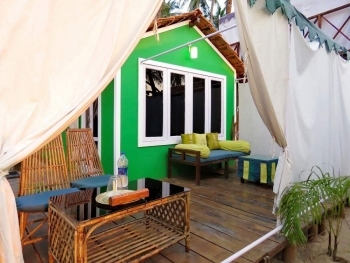 Art Resort a boutique resort, Palolem beach goa, located on the end southern of Palolem beach, with luxury cottages. 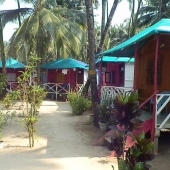 sea view huts in palolem. 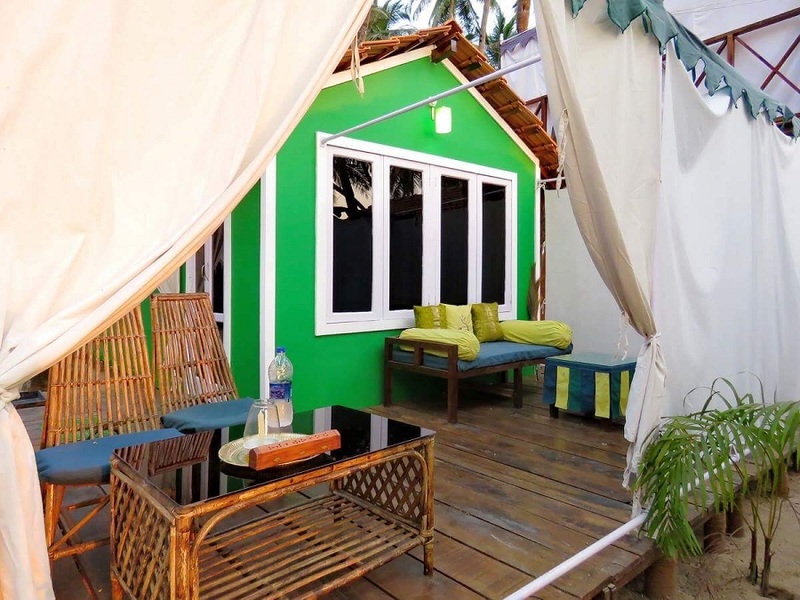 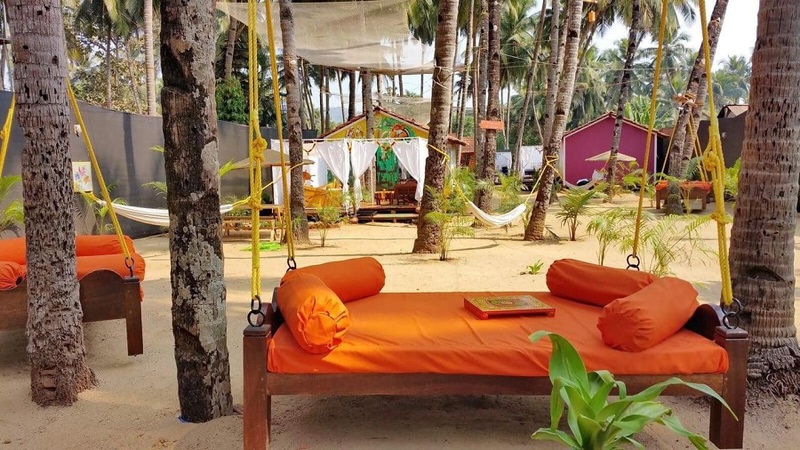 Art Resort on Palolem beach, south Goa is a wonderful creative and innovative "concept" boutique resort, run by a north Indian and German team. 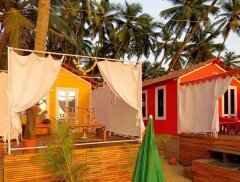 This fusion of the two aesthetics of India and Europe make Art Resort one of the most uniquely beautiful resorts on Palolem beach. Art Resort also showcases local and Indian art, hosting regular galas to promote artists from Goa and all over India. 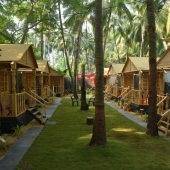 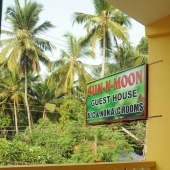 Art Resort is located right on the southern end of Palolem beach. 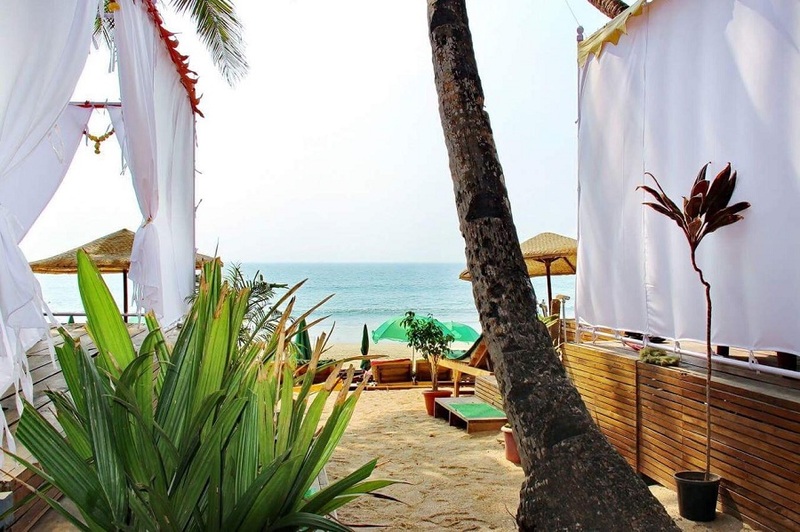 The sea is wonderfully calm and clear and very safe for bathing, making it a great spot for families too. Art Resort Goa is one of the first boutique concept Cottages resort in Goa, Art has very unique beach huts and the hole resort is styled in the same manner. 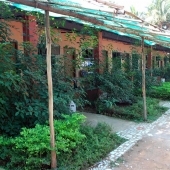 having only few luxury resort in Palolem beach, huts Art Resort Goa is not very famous in Palolem beach, it is set on the far south end of the beach and usually is pre-booked by tourist from Europe month in advance, not a regular case in south Goa, it is a different little resort a bit off the Palolem general rhythm. 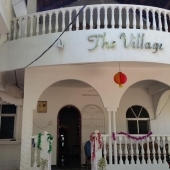 Palolem beach cottages in Art resort are all high end, very well equipped, and the stuff is very familiar with the tourist that attend this place so often, the service is very polite and the area is clean and quite. 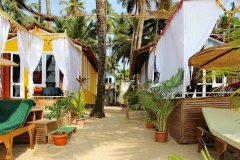 In compare with other boutique resorts in Goa, of the same standard and price levels, it is definitely worth the extra coin. just make sure you book it early. 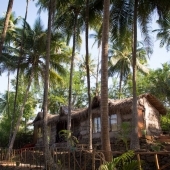 There are six Luxury Cottage / Beachfront at Art Resort, Palolem beach. They are beautifully designed and furnished and are kept spotlessly clean. 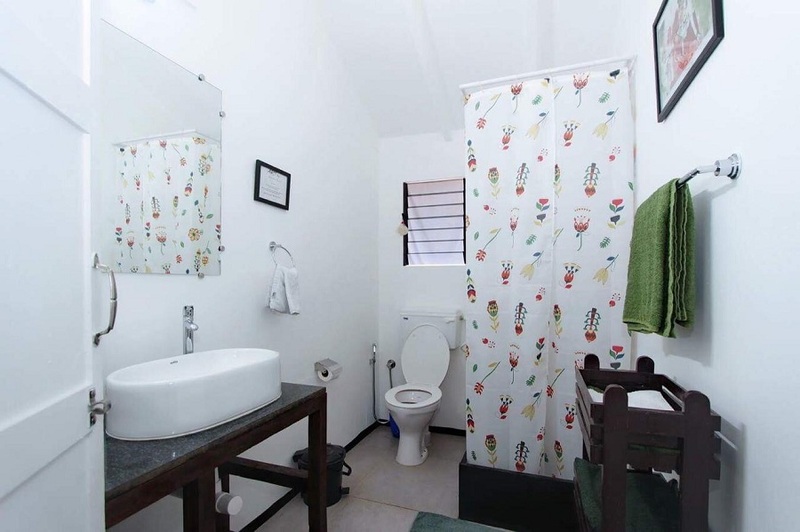 They all have attached bathrooms which have modern fittings and hot water showers. 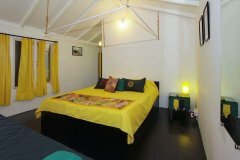 Each room has a great verandah, superbly furnished to provide hours of comfortable leisure time. 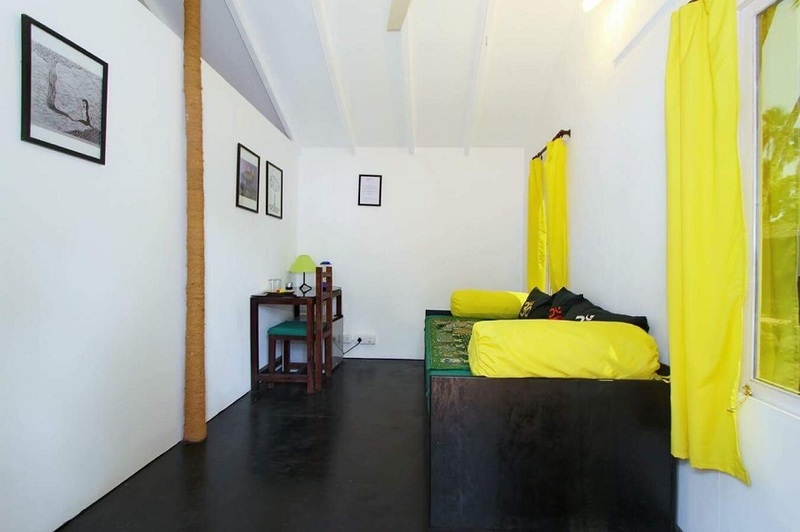 The double beds boast European mattresses, and the rooms all have mosquito nets and fans. 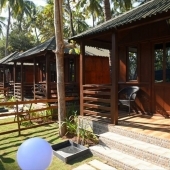 There are six Superior Cottages / Sea View at Art Resort, Palolem beach. 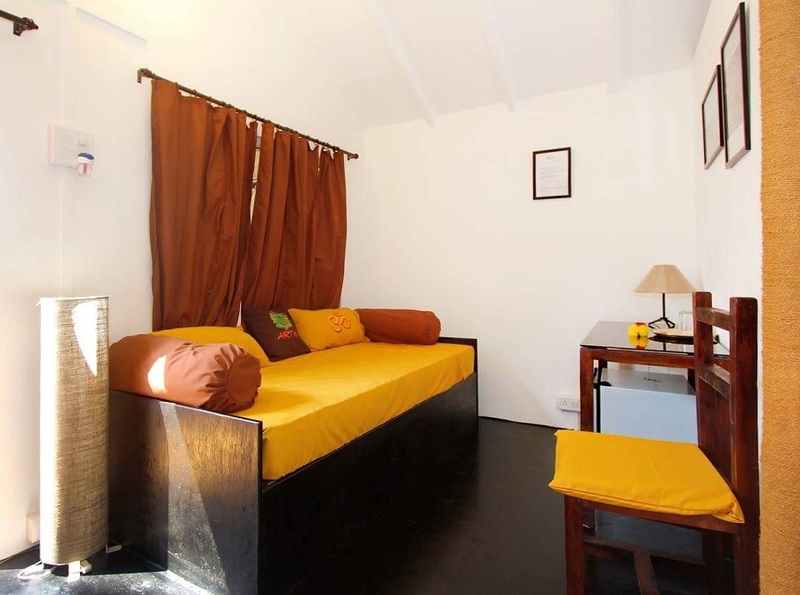 They are beautifully designed and furnished and are kept spotlessly clean. 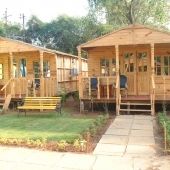 They all have Air Conditioned, Fridge, attached bathrooms which have modern fittings and hot water showers. Each room has a great verandah, superbly furnished to provide hours of comfortable leisure time. 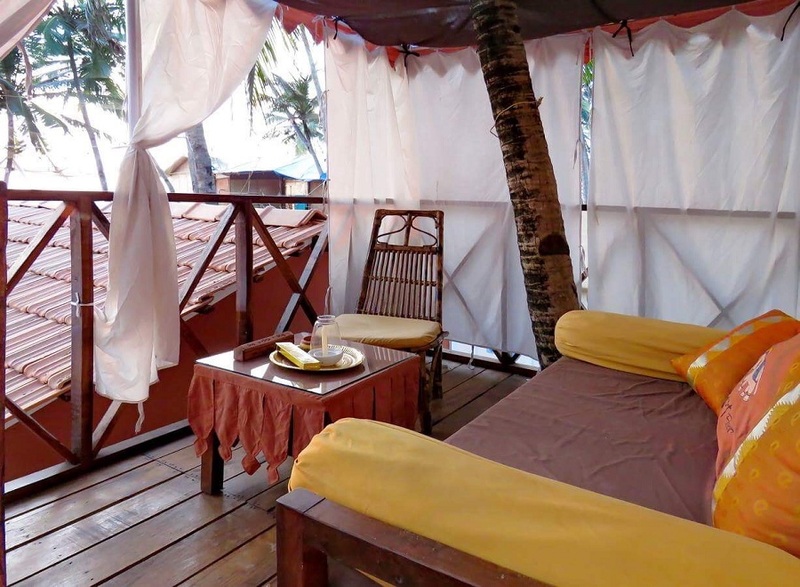 The double beds boast European mattresses, and the rooms all have mosquito nets and fans. 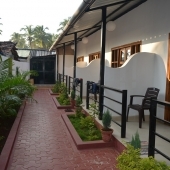 comfortable, fancy Art Prive Garden View Cottages of our Art-Resort-hotel at Palolem Beach/Goa provide private sphere and an Garden View. Modern bathrooms, equipped according to European standards (tiles, warm water, shower cabin, toilet). 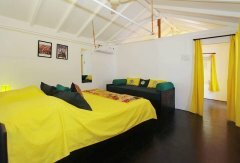 All Art Prive Garden View Cottages are furnished with European mattresses,Air Condition, Fridge, mosquito nets and fans. 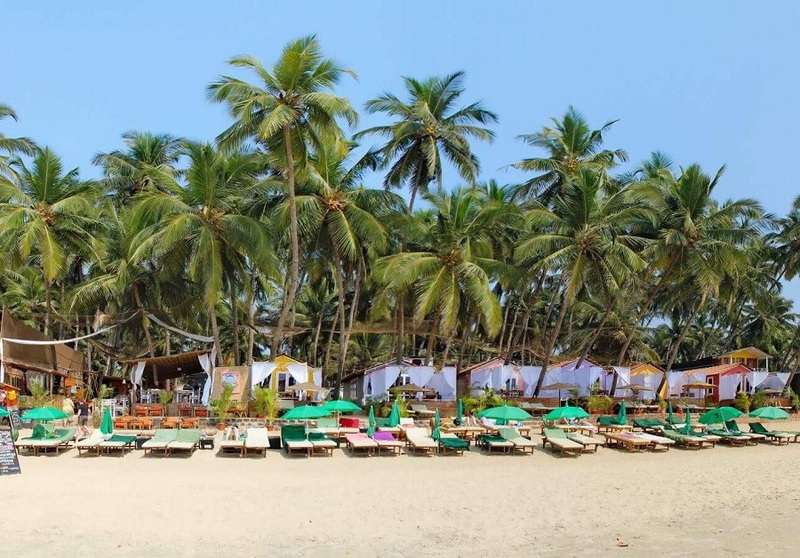 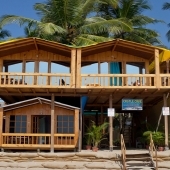 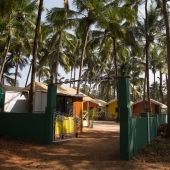 Art Resort is located on the southern end of Palolem Beach in South Goa. 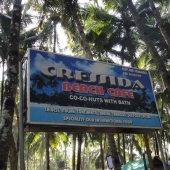 The closest Bus Stand is in Palolem Beach, Patnem Beach or Canacona / Chaudi 1 km away. 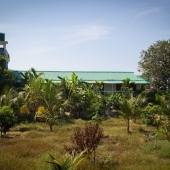 Canacona Train Station – 1.5 kms. 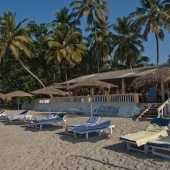 Dabolim International Airport, Goa – 50 kms. 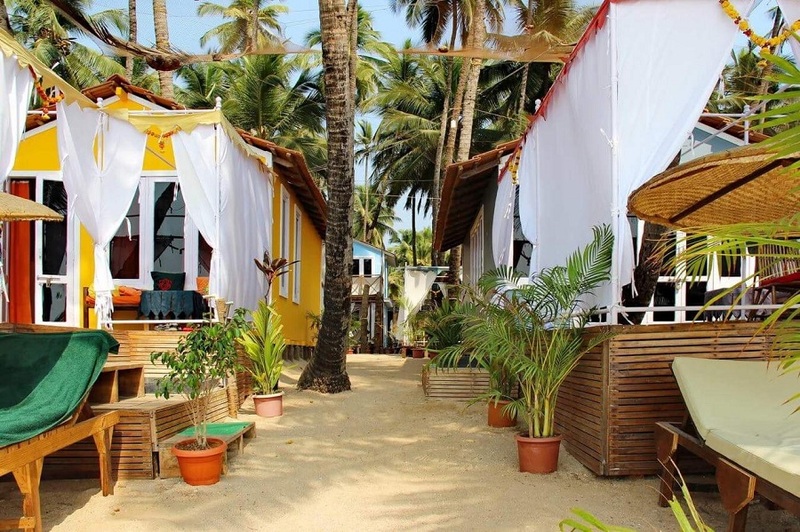 Within a 15 km radius of Palolem Beach is Colomb beach, Patnem beach, Agonda beach, Rajbag Beach, Galgibaga Beach, Cola Beach and Cabo da Rama. 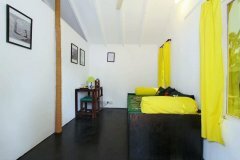 Art Resort is close to some of the best restaurants in Palolem and Patnem like Dropadi, Café Inn, Home and Laguna Vista. 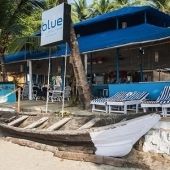 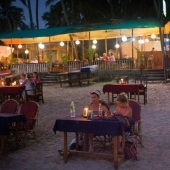 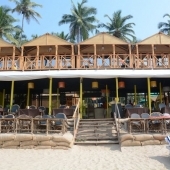 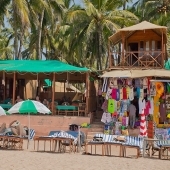 It is also very close to the happening nightspots in Palolem such as Silent Noise and Alpha Bar. 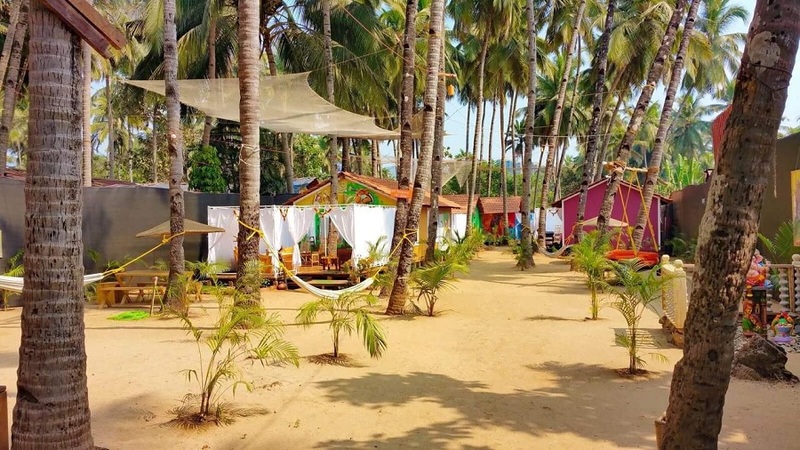 The idea for Art Resort Palolem Beach was to create a beautiful, clean environment that not only incorporates the unrivalled nature of Goa, but also showcases up-and-coming artists in Goa and other parts of India. 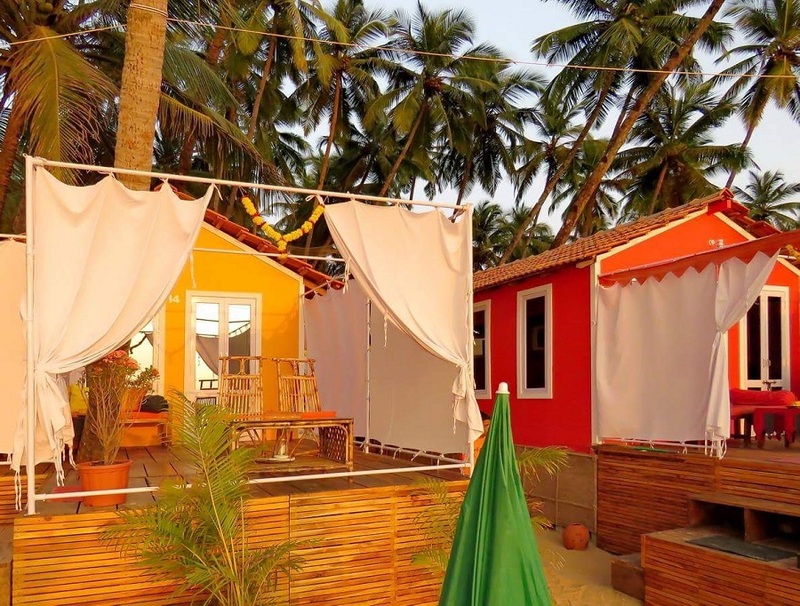 The six luxury cottages are strikingly decorated with authentic handloom Khadi fabrics from the Ghandi khadi project, and the exterior spaces are used creatively as art gallery areas, showcasing vibrant works of art that complement the style of this south Goa beach resort. 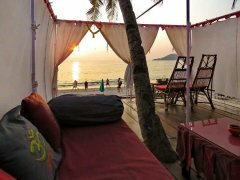 The restaurant at Art Resort offers nice fresh food in a beautiful setting, It is close by to other dining location on the beach in Palolem. 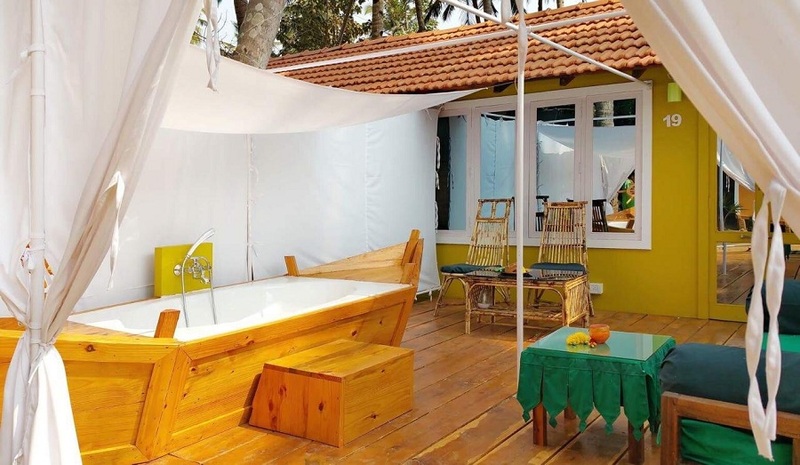 The elegant design of the restaurant at Art Resort, coupled with the high hygiene standards, make this a dining experience of European standards. 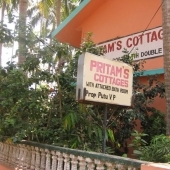 Delicious fresh seafood daily, cooked in the tandoor oven and eaten under the stars, is a typical Goan experience not to be missed. Minimum Booking 7 nights during Peak period from Dec 20 to Jan 10. Deposit will be refunded If booking is cancelled 42 days prior to arrival date. 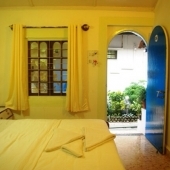 Deposits are non-refundable for bookings during the Peak Period from Dec 20 to Jan 10.